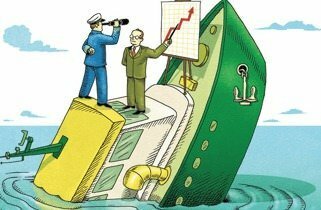 The Atlantic posted an article that jumped out at me: Why Companies Fail. This fantastic article, posted in a journal the general population would find more accessible than an organization development or talent management journal, gave all the evidence we try to convey on why change is hard. Well, change is easy, culture is what is hard. Why is corporate turnaround so difficult and rare? The answer is often culture — the hardest thing of all to change. Megan McArdle is taking our message to Main Street [nice election build-up tie-in, right?]. We are the change agents that toil in the dark with our higher education, free subscriptions to Chief Learning Officer and Talent Management Magazine, and our SHRM memberships trying, mostly, in vain, to get the very same point(s) across. Now, perhaps, finally? Main Street, executive-board-level, C-suite-types may finally heed our cautionary tale: culture eats strategy for lunch! Innovation is an intangible asset. Though it can not be itemized or added to a balance sheet, innovation can be tangibly destroyed by group-think and by shunning diversity. “Crash Course” is a brilliant book, and a sobering case on how organization innovation dies when industry myopia and lack of diversity negatively effect innovation, relevance, and survival. 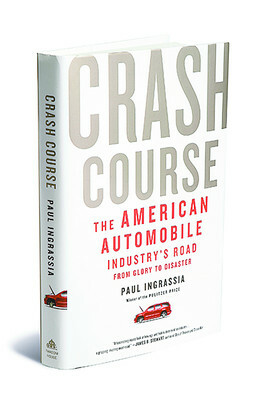 The book is a great read on how the death of opinion can infect an entire industry culture. On November 18, 2010 GM sold 478 million common shares at $33 each. This along with preferred stock raised $20.1 billion. Yeah for GM, we won, we did it! Right? Boo Toby, you are a myopic organization development geek, so clearly out of your element. Right? November 2011. GM stock, as The Atlantic article points out, was trading around $20 a share and GM’s new hybrid-electric car battery catches fire, which may trigger investor confidence on top of consumer confidence. Items like these put a dent in the government’s projected ROB [return on bailout]. So, what did a federal bailout do to change a decades-long GM culture of hubris, arrogance, myopia, and steady market decline? For me it was akin to giving a petulant teenage celebutante an increase in her allowance and a new car and expecting her to learn some hard-earned lesson. Organizations are simply made up of people. “Once the human mind has set out to do something, or has gotten in the habit of doing something … changing … is very hard.” When you add group dynamics, it’s even harder. You don’t need to be a brain scientist, of course, to know that people resist change … and yet, even knowing that, you’d be surprised at how many firms keep driving toward inevitable disaster at top speed. GM’s record is very much the norm, not the exception. … the argument that people continue down dead ends merely because they hate change seems inadequate. After all, people also hate losing their jobs and their money. As economists like to say, most people are risk-averse—it’s why unions accept wage cuts to keep pensions and health-care benefits, and why extended warranties are big business for Best Buy. Firms are full of these mostly risk-averse people. So why do they so commonly refuse to swerve? One possibility is that firms don’t change because inertia is in their DNA—indeed, it’s a gene that once made many of them successful. In their 1989 book, Organizational Ecology, Michael Hannan and John Freeman argue that organizations are actually selected for inertia by their environment, and “rarely change their fundamental structural features.” Change is risky, after all, since it definitionally involves doing something that isn’t already working—and even product lines that have grown lackluster still have some customers. Firms that are prone to frequent large changes will probably have more opportunities to kill themselves off with bad choices than firms that resist big changes. Seriously, you will appreciate the article’s relevance and straight-forward delivery. Change is hard. We know that. But yet, our bosses don’t seem to. People like accountability and reliability, even as the ship lists, conditions change, but thinking does not. Take the article, read the article, and remind yourself that our ability to influence relies on our ability to speak in the language of our audience, not in metaphors, jargon, and acronyms. From your perspective what is success? It is important to think of how you determine success to see if American auto companies have met success. For me that 2 out of 3 companies needed bailouts is not a good sign. From the bailouts what might success involve? Did they return, dollar-for-dollar, the money invested? Are their cars/trucks being bought? Are they left with inventory? Do they need to use discounts to sell cars/trucks? What is their profit on their cars/trucks? Do their cars cost $10 to make and sell for $11 or for $9? I would look at how those questions were answered. I would want to keep a timeline from the moment of the bailout and at points for at least a decade from there as an indication of success and an indication of how they each react and recover from positives and negatives reveals the difference between luck (good or bad) and strategy. Influence is innovation, there are a lot of global automobile companies who learned from America’s and now sell more cars, are more profitable, and are more innovative. Do American automobile companies now embrace learning Japanese, Korean, German, Italian, and other automobile companies?